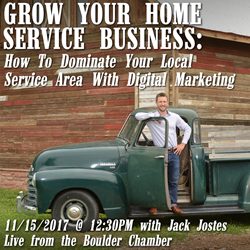 Ramblin Jackson, a Boulder-based digital marketing and video production agency, has opened registration for its workshop titled “Grow Your Home Service Business: How to Dominate Your Local Service Area with Digital Marketing” on Wednesday, November 15 at the Boulder Chamber. The “Grow Your Home Service Business” workshop on Nov 15, 2017, is ideal for all small- to medium-sized home service businesses in the Boulder County and Denver metro areas. “This workshop will show contractors how to attract top talent and enough of the right customers through digital marketing so they can pick and choose profitable projects and turn down the ones they don’t want,” said Jack Jostes, President + CEO of Ramblin Jackson. Ramblin Jackson, a Boulder-based digital marketing and video production agency, has opened registration for its workshop titled “Grow Your Home Service Business: How to Dominate Your Local Service Area with Digital Marketing”. The lunchtime workshop will be held at the Boulder Chamber located at 2440 Pearl St, Boulder, CO, 80302, on Wednesday, November 15, 2017, with the presentation starting sharply at 12:30 PM. Lunch is included with registration. Jack Jostes is a digital marketing expert focused on helping home service businesses increase their sales through local search engine optimization, website design and development, email marketing, social media, and more. The “Grow Your Home Service Business” workshop is ideal for all small- to medium-sized home service businesses in the Boulder County and Denver metro areas. Digital marketing case studies and tips are aimed specifically at home service companies such as repair and remodeling companies, carpet cleaners, window cleaners, landscaping companies, contractors, builders, and more. Attendees will learn how to prioritize marketing efforts, how to increase the right types of customers for their business, how to use Google tools, and where to focus their digital marketing efforts. A no-nonsense approach to helping local home service companies get found online, this workshop will highlight real-world examples and case studies of just how other small businesses have succeeded. Workshop registration is required and includes lunch. Online registration pricing is $35 until November 14; then will be $45 at the door on the day of the workshop, Wednesday, November 15, 2017. Register at http://www.ramblinjackson.com/foundworkshop. 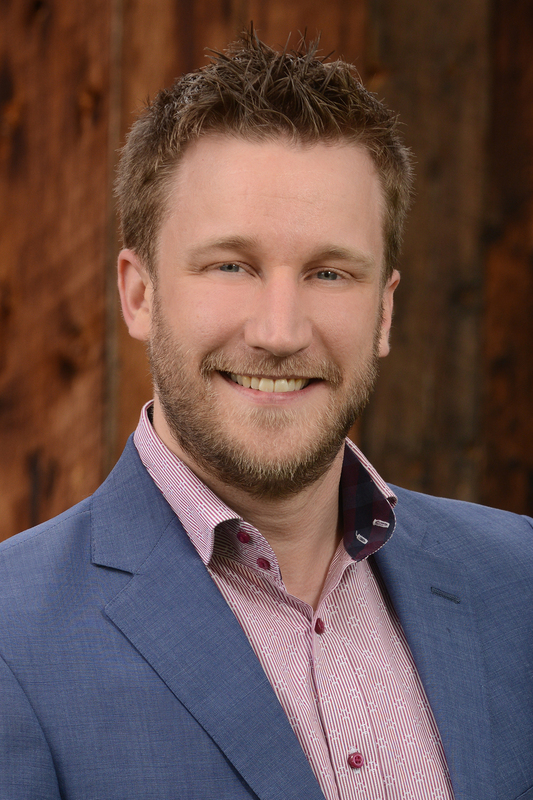 Jack Jostes is a digital marketing expert focused on helping small businesses increase their sales, recruit the best talent, and attract the right customers through digital marketing. Ramblin Jackson is a digital marketing + video production agency, founded in 2009 and based in Boulder, Colorado.